At Textured Coatings of America, all of our products are designed to meet or exceed state and local VOC (Volatile Organic Compound) requirements. TEX∙COTE®, a family owned business that has been manufacturing high performance coatings since 1961, is the first paint and coatings manufacturer to be granted a patent for heat reflective wall coatings and incorporate post industrial recycled content into our products.  Textured Coatings of America is dedicated to leading the paint and coatings industry in becoming a true “green” manufacturing company and reducing the impact that we all have on the environment. From incorporating recycled content into our product line, to the cooling cost energy savings that can be obtained through COOLWALL® heat reflective coatings, TEX∙COTE® is dedicated to working towards a more sustainable future for everyone.